While Pandora is maneuvering to lower its music publishing rates, it has cut a short-term deal with Universal Music Publishing Group that according to sources would represent the highest rate the Internet webcaster has ever paid to the music publishing sector. "We can confirm that UMPG has worked out an arrangement with Pandora that we believe is in the best interest of our writers while ensuring Pandora access to our music through the end of the year, " said a statement from a UMPG spokesperson. The new deal, however, could get killed by the ASCAP rate court, which is expected to rule on a motion by Pandora that argues publishers can’t cut direct deals because they are still operating under an ASCAP consent decree. Therefore, UMPG and others seeking direct deals are still obligated to accept whatever rate the court sets for ASCAP for the current licensing period set to expire on Dec. 31, 2015. ASCAP and BMI operate under consent decrees, which means once a service wants to license their music, they can play the music immediately, even if they have yet to agree to terms. Pandora terminated its license with ASCAP in 2010 and asked for a new deal beginning Jan. 1, 2011, through Dec. 31, 2015. According to Pandora’s viewpoint, that coverage includes all music publishers that midway-through the term now are seeking or have cut direct digital deals. In cutting a deal with UMPG, Pandora has averted potential liability for its use of the publisher’s catalog. If it hadn’t reached and agreement and the ASCAP rate court judge ruled against Pandora on the consent decree motion, the service as of July 1 would have been in violation of copyright. But sources suggest Pandora has also been involved in negotiations that would allow for a grace period while awaiting word on the ASCAP rate court ruling on whether the consent decree applies to those seeking direct deals. That decision is expected in late July. Though Pandora cut a deal with UMPG, it is unclear what it has negotiated with the other major publishers Warner/Chappell Music and BMG Chrysalis--which filed revocable notices of their intent to withdraw their digital rights from ASCAP on July 1. Sources say that Warner/Chappell has decided to delay its withdraw of digital rights until Jan. 1, 2014. 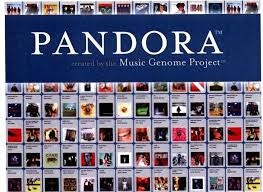 As for BMG Chrysalis, sources say it has indeed withdrawn its digital rights, which leaves three possible scenarios for Pandora: It could have negotiated a grace period until the ASCAP rate court judge makes a decision; it could have cut an undisclosed deal with BMG; or, without either scenario one or two, Pandora could now be in violation of copyrights if it is playing BMG songs, unless they pulled those songs down from the service. BMG declined to comment for this story. Earlier this year, Sony/ATV and the EMI Music Publishing catalog it now administers, also withdrew its digital rights and cut a deal with Pandora to be paid at a rate equivalent to its pro-rata share of 5% of revenue. That’s a significant increase over the 4.3% of revenue rate that ASCAP, BMI and SESAC combined were paid by Pandora, for the year ended Jan. 31, 2013. Besides arguing that the publishers that want direct deals are obligated under the consent decree, Pandora also is making a bid to cut its publishing rate below the 4.3% of revenue level it paid out last year. It recently bought a small South Dakota radio station and says it is now eligible for a lower rate negotiated by the Radio Music Licensing Committee (RMLC), which represents the majority of U.S. terrestrial radio stations and ASCAP in 2012. That settlement covers both broadcast and Internet performance royalties and sets an ASCAP blanket license fee of 1.7% of a licensee's gross revenue less standard deductions (which for Internet services would be 25% of revenue, and would reduce the ASCAP fee to lower than the 1.7% of revenue rate, according to sources). Pandora, on one hand, is making moves to kill direct deals from taking effect during its current licensing period in order to get lower rates through motions filed with the ASCAP rate court; on the other hand, Pandora is maneuvering to limit itself from liability by negotiating direct deals with the major publishers who have catalogs with clout to command such deals. "We believe all parties are awaiting the ruling of the court on our motions," a Pandora spokesperson said in a comment, without providing any other details. Meanwhile, sources say UMPG is being paid at a pro-rata share of a percentage of Pandora revenue that is substantially higher than the 4.3% it paid to publishers in its most recent fiscal year. Sources speculate that UMPG and the other large publishers seeking direct deals may have benefitted by the 10% rate that publishers will get from Apple’s iTunes Radio service. Even if the judge rules in Pandora’s favor on the consent decree, publishers say they believe that the higher rates that Pandora negotiated first with Sony/ATV and then with UMPG will play in their favor when the Judge sets rates.